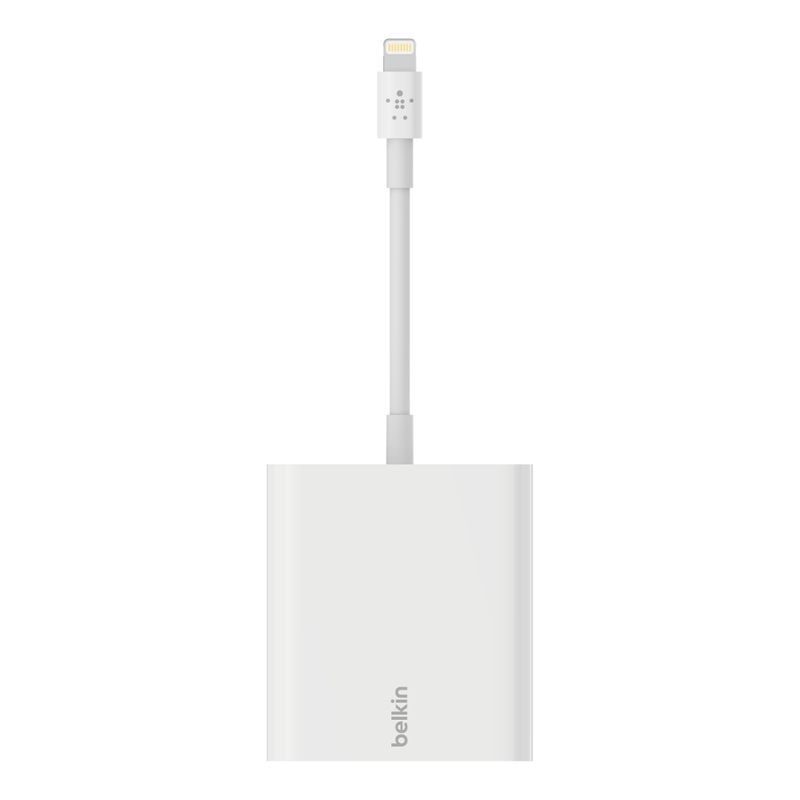 This Ethernet + Power Adapter with Lightning Connector is the perfect solution when Wi-Fi connectivity is inconsistent, overextended, or non-existent. 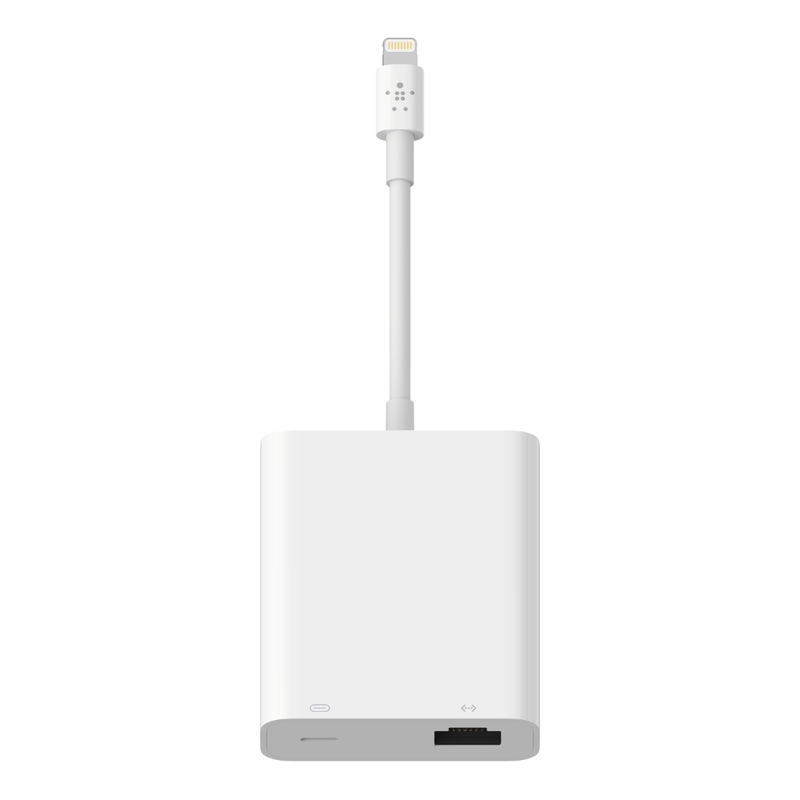 With Ethernet and Lightning ports, you can connect to a secure network while continuing to charge your device. 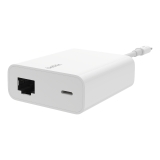 Power over Ethernet (PoE) compatibility provides another convenient way to connect and charge simultaneously with a single cable. 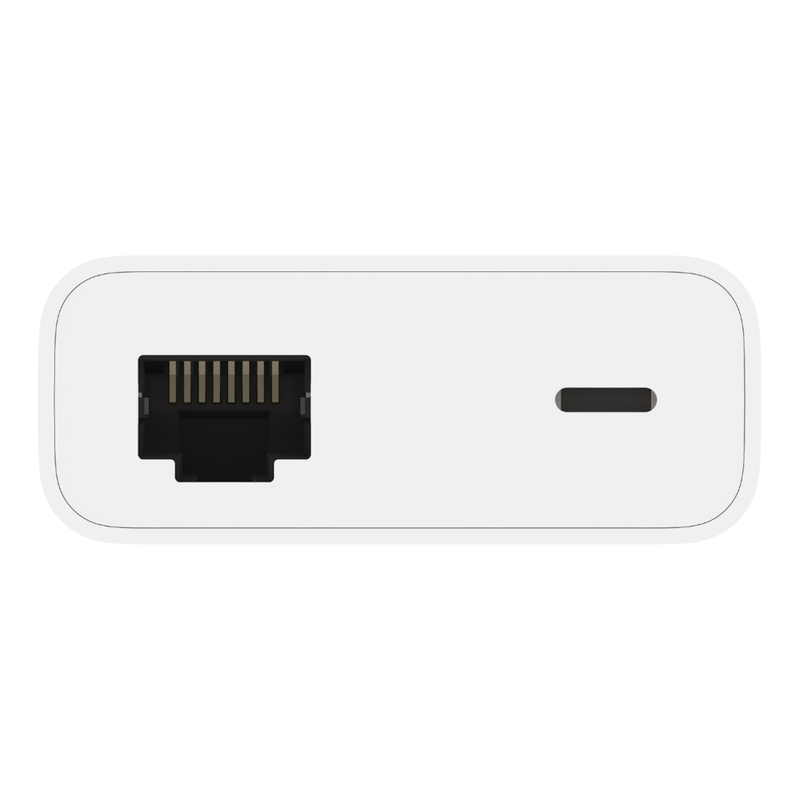 Combining Ethernet and reliable power makes this adapter perfect for businesses using cloud-based POS systems. Compatible with iOS 10.3.3 or later. 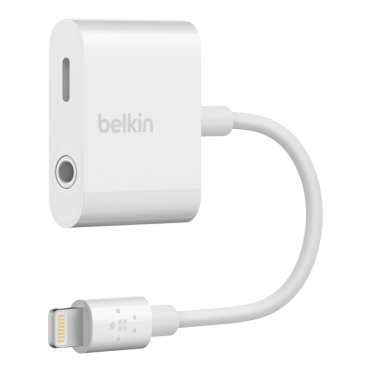 The Belkin Connect app keeps your firmware up to date for optimal functionality. No more choosing between power and reliable internet connection. 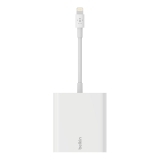 This adapter allows pass-through charging to power the device while Ethernet connection provides a reliable internet connection at the same time. This adapter works with your existing Power over Ethernet (PoE) enabled internet connection. 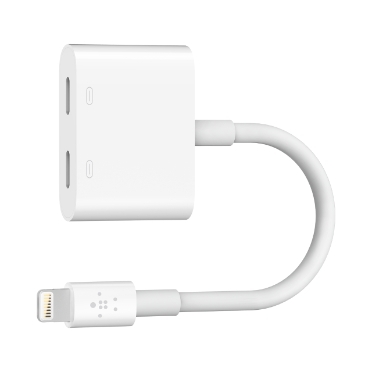 When PoE is available, there’s no need to plug in a Lightning cable, simply charge through your existing PoE enabled cable. A hard-wired Ethernet connection provides reliable speeds up to 480 Mbps. Having a connection you can count on makes this a must-have for POS systems. Power user approved, you can run even the most power-draining apps with confidence. 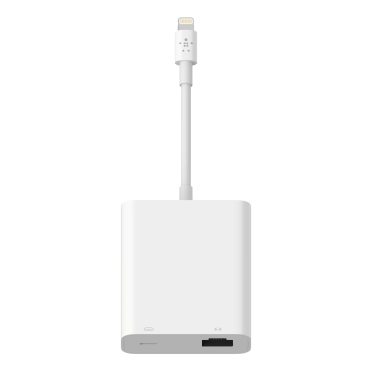 Pass-through power up to 12W will keep connected devices charged without compromising connectivity. 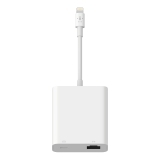 MFi-certified ('Made for iPad') means that an electronic accessory has been designed to connect specifically to iPad and has been certified by the developer to meet Apple performance standards. 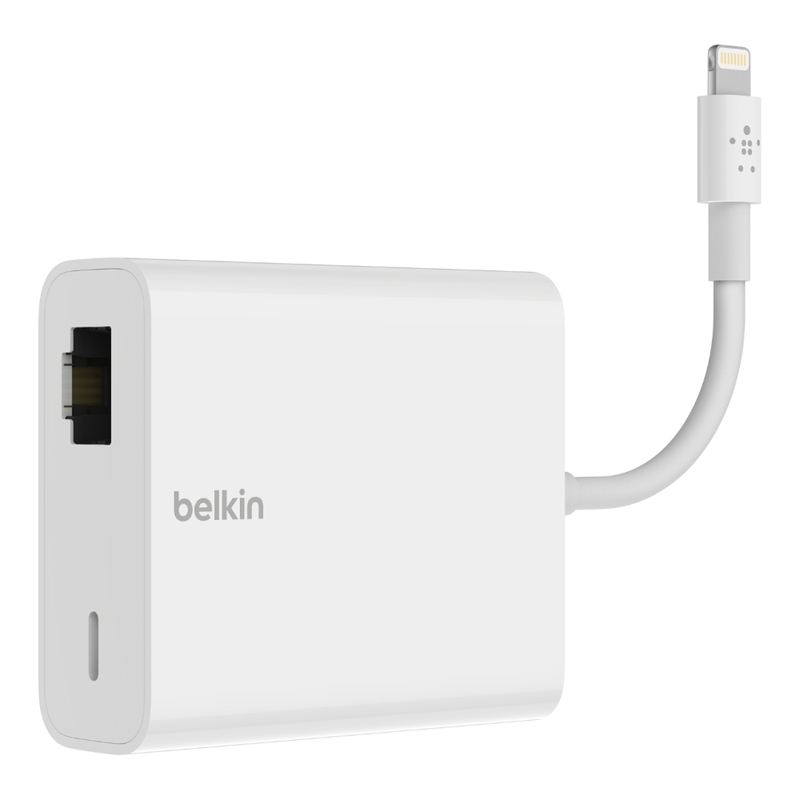 Download the Belkin|Connect app to get firmware updates that ensure your Ethernet + Power Adapter is performing optimally. 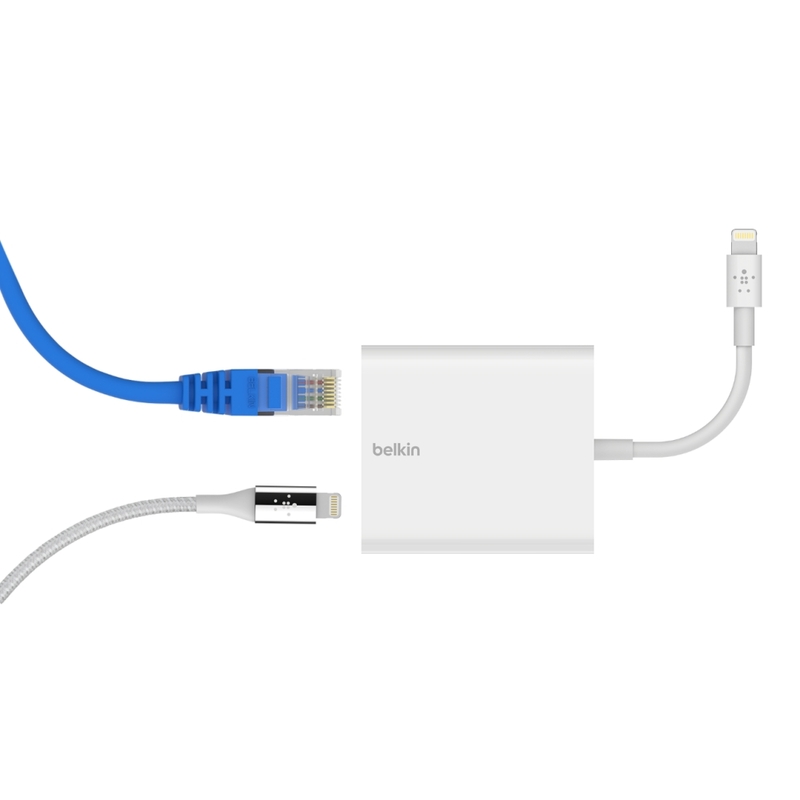 The Ethernet + Power Adapter with Lightning Connector is protected by a Belkin 2-Year Limited Warranty. 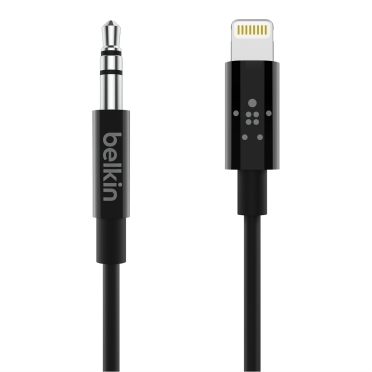 Belkin International, Inc. (“Belkin”) warrants to the original purchaser of this Belkin product that the product shall be free of defects in design, assembly, material, or workmanship up to 2-years.